So here's a thought, and I would love to know what others think. 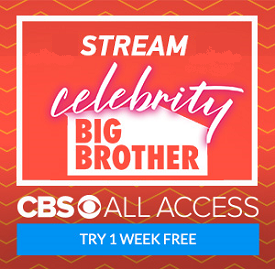 Is Caleb being coached by the producers to try and keep players in the house that viewers like? He did it a few weeks ago out of nowhere (like last night) and was successful with Zach. Caleb seems very impressionable. I could see production planting a seed here and there to see if he would play along so that viewer favorites stay in the game longer. I agree with Jenny. He seems to be going along with everyone else. But then out of no where he wants to save the person everyone wants out, which makes me think production might be coaching him. I think production coaches 'em all, but they may have more of an influence on the weaker minds such as Caleb and not so much of an influence on Derrick who is solid on strategy. I hate to see Donny go, but I would rather see a real game than one that is being manipulated ala the Hunger Games. They are all definitely being coached. BB Production has a long history of doing this. This year we have a lot of people who are not familiar with the game. They are definitely being coached. Right now I think all the fans are waiting for the point where the guys have to turn on each other. Until then, there seems to be no exciting game play going on. I hope the final weeks prove to be eventful because this season has turned into a big snooze fest. It would be awesome if Donny blew open the Team America thing in his speech tonight. That is about the only thing that could make the next week interesting. Something along the lines of "At least Dierrek, Frankie, and I got some money from the game through Team America." That would make for some good tv. Once again, this is a horrible cast. I blame Allison Grodner. Since she took over the show, the casts have gotten worse each year. Can't we have players with some life experience and some brains? Also, why have so much fan interference? The game should be played by the people in the house and we should just be the audience. And please....BAN THE WHISPERING! How can you have a show when the audience can't hear the actors? What if Donny blows up TA in his speech and he isn't voted out? Now that would be exciting. So sorry to see Donny go but real happy he's going to the jury house now. Also great to hear CBS is having him on the Bold & Beautiful Show which I definitely will watch. Love Big Brother. HOH competition is hilarious. Derrick must win this whole thing, good luck Derrick. Tenley and your wife are so pretty, lucky you!! Christine - time for you to go home! Love you Nichole, good luck - hope you get second...& $50,000. I had the same thought! I have been imagining it all day. And the funny thing is, Donny could pull it off without being mean-spirited. Just in the spirit of gameplay. Please send Christine home with Frankie this week. Tim you deserve better. Yes Frankie America hates you. Question if anyone know. How much is their weekly stipend? Is it more if they make it to jury?